What is the first thing I should do? What will I do with all the information I’m about to gather? Very quickly, you are likely to find yourself becoming overwhelmed with a tide of paperwork. Now is the time, before the paper starts to mount, to plan ahead and decide how you are going to organise it all, so that you can easily identify where there are still gaps in your knowledge. One sensible approach is to devise a single sheet of paper for each person on which is recorded the basic information of name, date and place of birth, death and marriage, occupation, and details of parents, spouse and children. This can then be filed and information added as it becomes available. In order to show family tree relationships, it is probably easiest to lay out the information in the form of a chart on large sheets of paper. (the back of an old roll of wallpaper or lining paper would be a first step). Alternatively, you can make use of one of the many genealogy software packages readily available. It is largely a matter of preference which package you use, but be sure it supports the GEDCOM system, which is a standard format that allows you to swap your files into and out of other genealogy programs. Initially, you may like to try the free package 'Personal Ancestry File' offered on the Mormon site at www.familysearch.org . Personally, I have found ‘Family Tree Maker’ a straightforward and easy to use program, with a good range of options for displaying the information. Arm yourself with a notepad and pen and a lot of patience, then try to gather as much information as you can from the resources immediately available to you – yourself, your living relatives and any documents you can trace within the family. Start with yourself and your siblings then your parents and grandparents and all of their siblings. Can you write down the details of their births, marriages, deaths and occupations? Chances are, there will be lots of gaps and details which are only approximate, but do as much as you can. This points the way to your next task – contact as many of your relatives as you can and talk to them, to try to confirm the details you have, and to fill those elusive gaps. Get them to reminisce about the past. (Be tactful – there may be skeletons in the cupboard!) If you cannot visit in person, phone them or write to them, enclosing a s.a.e. Compile and enclose a list of specific questions. (Use our detailed enquiry form as a guide). If you are overseas, try to find when your ancestors left Scotland, what method of transport they used, and the points of departure and arrival. TIP 1: Track down documentary evidence, such as birth, marriage and death certificates, to confirm the information you are gathering. Almost certainly, you will be amazed by the inconsistencies. Make copies. TIP 2: Ask to see photographs, diaries, wills, family bibles, letters etc. Get copies if you can. When you have done this, you will understand how useful it will be for future generations if you develop the habit of writing names and date on the back of photos whenever you have them developed! 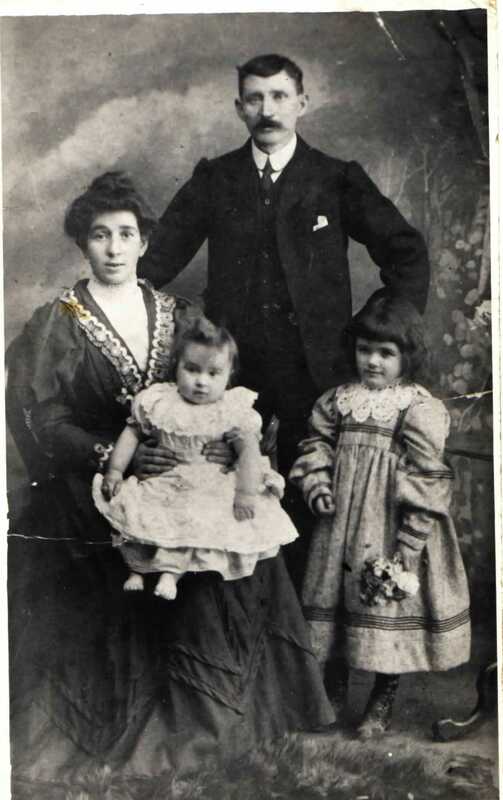 The picture opposite was taken about 1910, and is a family portrait of my grandparents. The 'girl' on my grandmother's knee is in fact my uncle. It was traditional for both sexes to be dressed similarly until the christening - when they were 'shortened'. My uncle, who grew up to be a burly miner, never lived down this picture!!! Another trap for the unwary ancestor seeker! TIP 3: Believe nothing unless you can find evidence to confirm it. Family stories tend to grow in the telling! TIP 4: Do not put off this first step. The sooner you make a start the better. Those elderly relatives, bless 'em, will not be around forever! 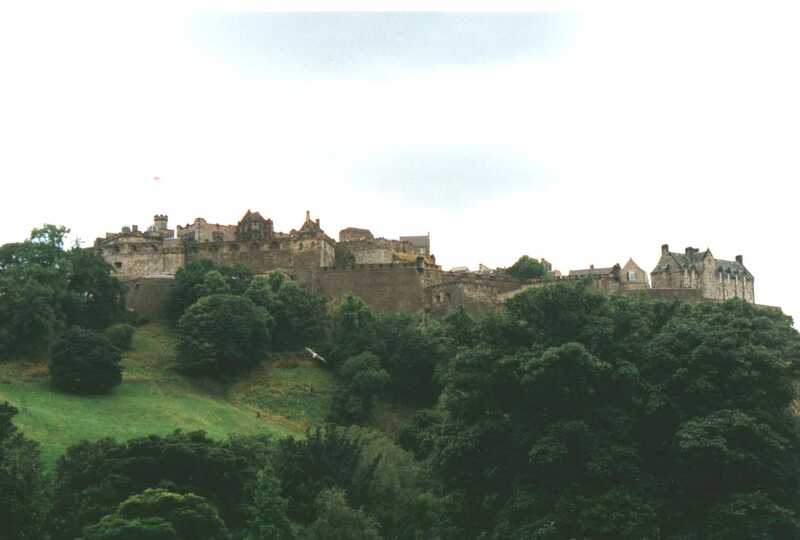 If you are living outwith Scotland, your next step is to use your local archives to complete the basic information about your ancestors since their arrival from Scotland. You are now ready to Find Your Scots Roots! The next decision you have to make is whether to attempt to carry out all the research yourself, or to employ someone such as www.findmyscotsroots.com. to carry out some or all of it on your behalf. Partly, the decision will be based on financial considerations, but it will also depend on whether you can personally visit Scotland, and how much of such a trip you are prepared to devote to tracing your ancestors. The beauty of genealogy is that you have control over the direction you want the search to go! To help you decide, I have explained below the main sources of information necessary to carry out such research. TIP 1: Especially if you are visiting during the summer, it is advisable to book in advance for one of about 100 places available daily, or to turn up well before the opening time to ensure a place. There is a charge of £17 per day. Old Parish Registers (OPRs) between 1553 to 1854. St Nicholas Buccleuch Parish Church, Dalkeith - just one of the churches that Cromwell knocked about a bit! 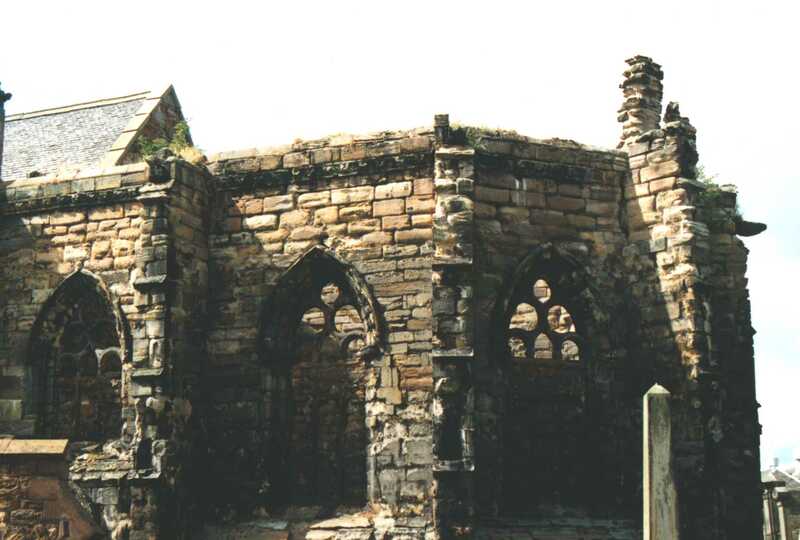 These registers were kept by the parish ministers or session clerks of the Church of Scotland to record births/baptisms, banns/marriages and some deaths/burials. Because of wars, invasions, insurrections, fire, and the depredations of damp and vermin, not to mention plain carelessness, indifference and lack of diligence by some of the ministers or session clerks, the records are far from complete, and may be non-existent in some parishes for extended periods of time. In addition, the government attempted to impose a tax on the registrations in the years before 1855. Since registration was not compulsory at that time, this naturally acted as a deterrent. Who wants to pay taxes unnecessarily? Where there are records, the information varies in both quality and quantity, and hence usefulness. TIP 1: The registers are accessed on 35mm microfilm, and can be difficult to read. A magnifying glass and familiarity with early handwriting styles is helpful. TIP 2: An index of births/baptisms and banns/marriages (but not deaths) can be accessed using the in-house computer system. This enables you to find the appropriate part of the film cassette. TIP 3: The registers and indexes are sold by the General Register Office, and your local National Archive/National Library / Mormon Church may have copies, or be able to get them for you. After it became a statutory requirement to register births, deaths and marriages in Scotland in 1855, a register was drawn up of events that had not been recorded in the OPRs. The register is on microfilm. TIP 1: If the record you seek is not in the OPRs, you may be fortunate to find it here. Details of all births, deaths and marriages since 1855 can be accessed. The procedure is to trawl the index using the in-house computer to find the appropriate person, and then look up the original document on microfiche, or digital image. (There is an on-going program to digitise all birth, marriage and death certificates post 1855). It does not cost anything to copy down the details onto your notepad, but there is a charge if you want a copy of the original certificate. your ancestor changed the spelling of his/her surname (or the name was recorded using a different spelling – how many ways can you think of to spell ‘Somerville’?) or was known by a different first name – a very common occurrence then as now. Each spelling variation requires a separate check, as do the Mac/Mc prefixes. The soundex system on the computerised index could be better and is currently non-existent on the index for digitised images. a transcription error was made in transferring the data onto computer from the certificate – Daniel and David, for instance, are sometimes transposed in error. Tip1: Pray that the event you are looking for occurred in 1855 - the certificates contain an enormous amount of additional information in that year. TIP 2: Scottish death certificates (unlike English ones) include the person's parents' names and the name of the spouse. Knowing the parents, of course, enables you to step back a generation. TIP 3: The indexes refer to the year that the event was registered, not when it occurred. For instance, it was quite common to marry on 31st December. The following day, being a public holiday, allowed the couple and guests to recover from the hangover, or indeed continue partying! The wedding, however, would not be registered until the New Year. Baptisms were sometimes held months, or years, after the birth. TIP 4: Female deaths are entered twice - under both maiden and married names. TIP 5: Copy out all the details on the certificates, even if they don't seem significant at first. Addresses may help with census tracing, occupation may help in looking up Trade Directories or employer's files, witnesses' names may point to in-laws you are not yet aware of, etc. TIP 6: Treat all details on the certificates with care, and consider whether the informant was likely to be able to provide accurate information. Remember how difficult it was to write down details of your family at the beginning? TIP 7: If you cannot find the person, but know where the event occurred, it is worth taking out the index fiche for that district to see if the name appears in the index. Occasional errors / omissions do arise! This register applies to persons adopted under orders of the Scottish courts, and does not include anyone born before October 1909. This applies to divorces granted by the Scottish courts, and includes the names of the parties, the date and place of marriage and divorce, and details of court orders relating to the children. Records are also held of births and deaths on merchant vessels (from 1855) or aircraft (from 1948) where the person involved was resident in Scotland or had Scottish parents. There are Service records of births, deaths and marriages from 1881, and War Registers from 1899, covering the South African War and both World Wars, although the records of WW1 do not include officers, and WW2 records are incomplete in identifying people of Scots origin. There are also records of births, deaths and marriages recorded by Consuls and High Commissioners in various countries, based on data supplied by persons involved, some of which go back to 1860. A census has been held every 10 years since 1841 (except 1941). Details are available on microfilm for 1841 to 1871 inclusive, and on computer index for 1881 and 1891 and now 1901. The censuses for 1891 and 1901 are now digitised. Subsequent census details are subject to the ‘100 year rule’ and are not available for consultation. . As the earlier censuses are not indexed, it is necessary to know where the family was living, and then search for them street by street or house by house through a village. Different questions were asked at each census, and different criteria applied in obtaining ages, for instance, but you can find the name, age, marital state, occupation and birthplace of each member of the household present on census night. TIP1: Treat spellings of names with care, as these relied on the enumerator’s literacy and familiarity with the local accent. I have found ‘Hairy’ for Harry, Jonet for Janet, and innumerable spellings of Catherine, for instance. TIP2: Stated ages should also be treated with suspicion, as people were not averse to lying! Also, in the 1841 census, ages were rounded down to the nearest 5. TIP3: The Mormons have released a set of CDs which cover the 1881 census for the whole of the UK, which can be purchased from their web site at www.familysearch.org . Note that earlier versions of the CDs erroneously included Sutherland, Scotland with Sunderland, in England. TIP 4: If you cannot find the family you are looking for in the digitised images, and you know where they were living, it is worth taking out the census microfilm. We have found several instances of information that has been missed. What if I can't get to Scotland? 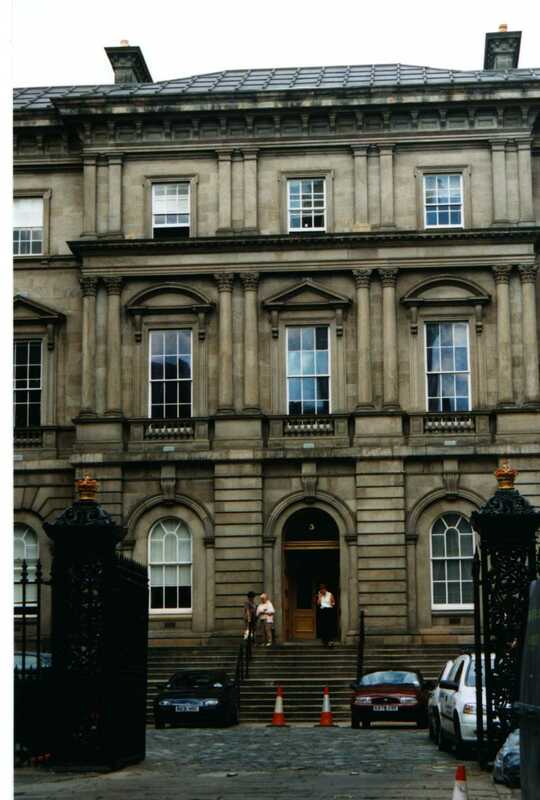 If you are unable to visit New Register House in person, you can carry out a computerised search of around 37 million names from the OPR indexes (1553 to 1854), Statutory Indexes for births (1855 to 1901), and marriages (1855 to 1926) and deaths (1855 to 1951), and the 1881, 1891 and 1901 censuses by logging on to www.scotlandspeople.gov.uk. You can view, save and print images of many of the original documents. There is a charge of £6 per 30 ‘pages’, available over a 24-hour period. For your money you get, depending on the parameters you set, a list of events (births/marriages/deaths/1881census), the date of the event, the names of the parties involved, and the district where the event was recorded. You also get a code number to order a copy of the certificate (£10 each). TIP 1: If you have problems tracing the person you are looking for, try switching the 'soundex' on. You can also contact the staff at New Register House and ask them to carry out a search on your behalf. They can be contacted by post at New Register House, Edinburgh EH1 3YT, telephone at +44 131 334 0380 or e-mail at records@gro-scotland.gov.uk, or at their web site www.gro-scotland.gov.uk. However, they require full information about the event, including the person’s full name, the date and place of the event, and the person’s parentage if the surname is common. They will not start a search in the records prior to 1855 without the parish name, or in the census records without the person’s name and address. If you can provide the necessary information, they charge £5 for each search and £8 for a copy of each document. TIP1: E-mail orders are not accepted. Alternatively, you can ask www.findmyscotsroots.com to carry out the search on your behalf. We will attempt to find the information about the event you are interested in , based on the information you provide. For details of our prices and terms, press the button below. What else can I research to fill out my family tree? 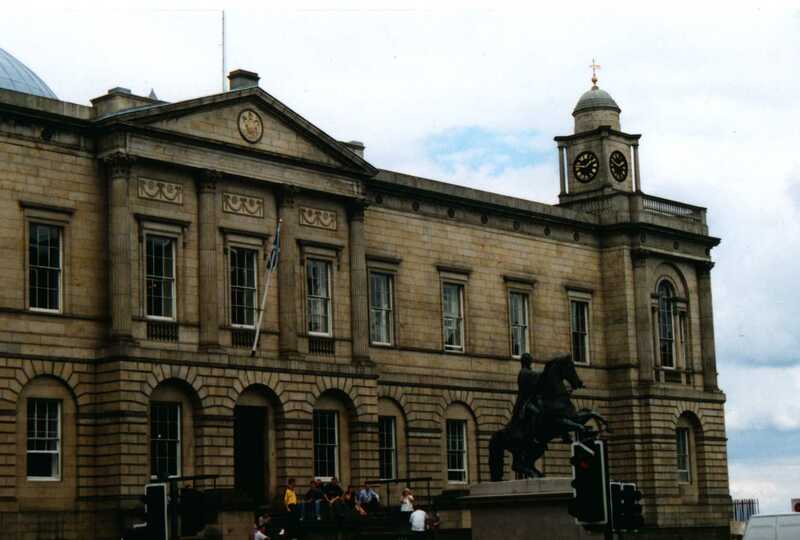 By the time you have put together all the information available from New Register House, you will probably be well on the way to compiling a family tree going back to the early years of the 19th Century, and possibly earlier. You will have an idea of the social context in which your ancestors were living from details of their occupations. Now is a good time to explore other sources of information, so that you can gain a better insight into the daily lives of your ancestors. Fortunately, Edinburgh provides many rich sources of information. Immediately adjacent to New Register House in Princes Street, is the repository for an enormous variety of sources, including wills, testaments and inventories dating back as far as 1514 . If your ancestor made a testament, you will gain an understanding not only of his/her social and financial status, but also possibly an insight into how they were involved on a personal level with other members of the family. If an inventory is attached, you will have a list of all their possessions in the house when they died. The National Archives also has the Register of Sasines (tracing changes in land ownership) and Services of Heirs ( dealing with issues of succession). It is also worth checking out the minutes of Kirk Session records. They provide a fascinating view of the moral and especially sexual concerns of the time. The records frequently detail cases of named individuals being brought before the kirk session and fined or chastised for illicit sexual dalliance! You may also be fortunate to find an account for the hire of a mortcloth to a family- indicating an approximate date for a death not otherwise included in the pre-1855 OPRs. TIP 1: Although entry to the National Archives is free, many of the records are stored elsewhere, and you may have to order the records you want to see and return a day or two later to view them. Indeed, so extensive is the collection, that some classes of records, such as maps and architect drawings are now housed in West Register House, at the opposite end of Princes Street. Reference libraries, particularly the Edinburgh Central Library and the Mitchell Library in Glasgow, but also in other cities and towns, are a rich source of local history. Trade directories, which are like early Yellow pages. Old Newspapers (If any of your ancestors suffered a violent death, or had achieved some fame during his/her lifetime, you may find an obituary in a local newspaper. Papers carried lists of killed and wounded, often with photographs and biopics during the Great War.) The more 'local' the newspaper, the more likely that you will come across a mention of your ancestor's doings. Some things never change! Scotland has a huge variety of museums, from the recently-expanded Scottish National Museum in Chambers Street, Edinburgh, which covers all aspects of Scottish life, to museums devoted to particular trades or professions - crofting and farming, fishing, mining, textiles, transport and distilling and brewing. There are also a number of 'domestic' museums, where a house or farm has been restored to its former condition, providing the visitor with an insight into a way of life long gone. These range from the splendour of the Georgian House in Charlotte Square, Edinburgh (providing a fascinating comparison of life 'Upstairs and Downstairs') to the Highland Folk Museum at Kingussie, giving a feel for farming life. If your ancestors were in the armed services, and you know the regiment, you may find it worthwhile to contact the appropriate Regimental Museum. By prior arrangement, you may be allowed to examine the original war diaries.